Apple to launch little UMPC? Ehh, maybe? David Sieger is positing that Apple may or may not be working on a ultramobile-like mini-PC running Intel’s Silverthorne processor, a low-power processor that has discrete Mac SDK support. He’s also dug up some information on a device with a 5.2-inch touchscreen and 3G and, presumably, it will have to be launched six or so months before actual ship date to keep the FCC hounds from figuring out what’s happening. 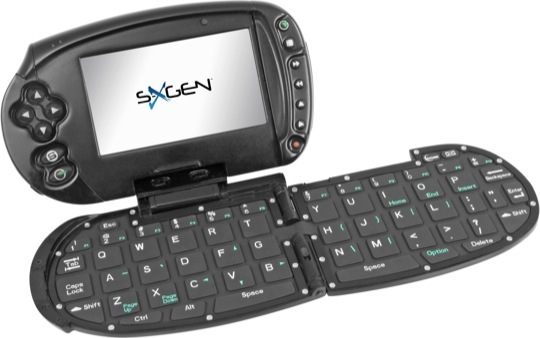 I’d say there’s a 70% chance of this thing actually coming out — UMPCs are way too niche right now — but the success of the iPhone shows that the PDA/Smartphone sector is strong and something a little nicer than the Kindle might make a good Apple product. Hmmm… is that why Jobs was harshing on Amazon’s ebook reader?